Kansas City advertising veteran Sheree Johnson has launched a national research and consulting alliance firm. 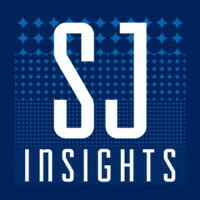 The new firm, called SJ Insights (www.sjinsights.net), will offer clients best-in-class market intelligence and analysis, proprietary market research services, media services and marketing and advertising consulting services. Johnson, Founder/CEO, stated "insights are what lie at the heart of all aspects of marketing communications - from target audience identification to brand positioning, from digital strategy to the creative process. SJ Insights is taking a distinctive, cost-effective approach to help businesses make fact-based, strategic decisions before they go to market with a new product, execute a new campaign or make other marketing decisions." "Over the years, many clients, former associates and others have encouraged me to start my own company focusing on what they told me I do best - bringing a clear and deep understanding of a situation, of a target audience, of a strategy and of analysis of the results," said Johnson. "I'm humbled so many have expressed their confidence in my abilities, and thrilled to be leveraging those to launch SJ Insights." In addition to market intelligence and research, the firm will offer media services on either a consultative or traditional basis�- meaning SJ Insights will review and provide advice to marketers on media planning/buying efforts, or the firm will provide media planning and buying services. With extensive experience at top agencies serving Fortune 500, and top national and regional marketers, SJ Insights will also be offering a variety of marketing and advertising consulting services�- from social media strategy to ad agency search support. SJ Insights plans on offering this range of marketing services support by tapping into an alliance of subject matter experts on an as-needed basis bringing collaborative thinking, relevant assessment and flawless execution.